Regardless of the therapist's method, people usually start in groups with a form of serial monologue. Out of this arise the capacities to talk and to listen which are often undeveloped or even non-existent at the outset of therapy but which are its core constituents. From talking and listening comes self-disclosure, and out of this emerges identification which, in due course, leads to dialogue and differentiation. Therefore the conductor must give a place to monologue whilst, at the same time, cultivating dialogue—the exchange between members or subgroups—and ultimately promoting discourse, defined here as the free interaction of participants in the flexible and complex exchange that distinguishes the communication of a group. Structure describes the more enduring aspects of any group's make-up—the 'architecture' of its interpersonal relations conceptualized first in terms of the setting and its boundaries, and then conceptualized in the bond between each individual, the therapist(s), and the group as a whole. Process describes the fluid and dynamic fluctuations of emotion and experience, the business of relating and communicating, the changes of association, and intermember responses. The content of a group's exchange is in its visible and audible events, in the narrative line and dramatic content of people's encounters, the topics raised, their thematic development, and the extent to which they are explored or avoided. As Fig 2 illustrates, each of these three dynamic elements has a determining influence on each of the others. A group in which there was, for example, a problem caused by the institution's failure to honour its commitment to provide reliable space for regular meetings would have a serious structural problem which would put the therapist under pressure over its boundaries. Intrusion, relocation, or a conflict over space, evident to the membership, might emerge in the content of the members' associations as they talked about shared past experience. It would be the therapist's responibility to make a judgement about whether to direct the process towards some recognition of the connection between past and present anxieties by making an interpretation. This might be called for. On the other hand, some transparent indication to the group that the therapist would be able to protect their space, i.e. evidence of a reassuring structural change, might be more appropriate. In the interpersonal school, intragroup interactions, including those between individuals and the leader, are taken in their totality but without the structural differentiation of the leader as an entirely different 'sort' of person to the others. In the Tavistock model, a two-body psychology is used to analyse the interchange between two principal parties—the leader and the group taken as a whole. The therapist's principal role is in the analysis and interpretation of defences against primitive anxieties (or basic assumptions). The group-analytic model calls on elements of both foregoing models. Like the Tavistock it considers the leader as structurally different to other group members, but like the interpersonal model it encourages the leader to work in the group with individuals as well as with the group as a whole. A three-body psychology is used to understand the role of the leader, who is referred to here as the conductor. Therapy proceeds through the dynamic interaction of each individual, the conductor, and the group as a whole. The focus is on interpersonal learning as a primary mechanism of change. The group provides the antidote to maladaptive interpersonal beliefs and behaviours through feedback from others and encouragement to experiment with healthier behaviours, first within the group and then outside. The joint examination of intragroup transference reactions allows members to replace processes that have a historical origin in the 'there and then'—the dynamic past—with those more appropriate to the 'here and now'—the dynamic present. The approach emphasizes the educational opportunities of working in the here and now of the group. The therapist takes the responsibility for leading the group towards awareness of these interpersonal dynamics and their expressions. 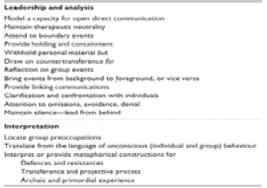 There is also greater therapist transparency than in other psychodynamic approaches, with the therapist modelling desired behaviours, sharing the reactions to events in the group directly, and being open to feedback from other group members (Fig.3). discussions, and the process of their interactions, gives the group its agenda. The interpersonal approach places the therapist amongst other members of the group without giving him or her a distinctive structural identity and omits any formal demarcation for the boundaries of the group as a whole. The model provided the early descriptive research on the phases of small groups, on the basis of which Yalom tabulated 11 'curative' factors in a group's life. 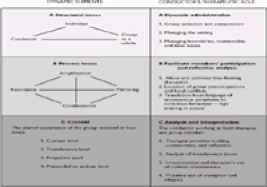 Drawing on therapists' views and patients' reports and correlating a series of in-therapy variables with patient outcomes, he constructed the primary categories listed in Table 2. Bion's ideas have an explanatory power and a simplicity of application that continue to prove illuminating. In a group at any point in time, its culture and climate are governed by primitive unconscious anxieties that impede its capacities for rational work in which the person or representation of the leader plays a crucial part. The anxieties, organized into one of three categories referred to as basic assumptions, are dependency, fight or flight, and pairing. They affect the group as a whole, in which only one basic assumption is believed to be operative at any point in time. Bion saw basic assumptions as interfering with the 'work group', the more rational higher-level functioning of the group and its members. The therapist's key task lies in understanding and interpreting the operative basic assumption to the whole group. The meaning of individuals' experience is subsumed by this understanding of the whole. This therapist-centred approach sees transference only as directed towards the therapist who represents authority. In dependency, the group tries to elicit protection through passive or dependent behaviour. In fight or flight they will attack the therapist or some other issue, or retreat and withdraw. In pairing they may create a group illusion that some magical form of rescue may arise from the dilemmas of group life through charged partnerships. Hopper (65> has introduced a fourth basic assumption that he calls massification/aggregation in which the defensive structures of groups or societies in crisis are thought to entail either a rigid fusion of identities excluding individuality, or extensive withdrawal preventing mutuality. The two-body psychology used here enforces a series of clinical constraints that reduce the complexity of group interaction to a bipersonal exchange between the therapist and the group taken as a whole. 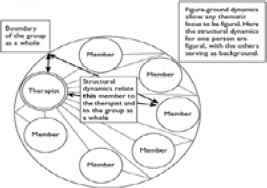 As Fig.4 illustrates, intragroup dynamics are considered only in their entirety for what they reveal about the unconscious state of the group as a whole, and for what they indicate about the nature of the group's relationship with the therapist. Figure4 illustrates how the therapist stands outside the group in a stance that is not only neutral and dispassionate but also opaque and withholding of self. Ezriel, basing his work on Bion, developed a theory of common group tension. (66) He believed that at any given time the group would be caught up in a commonly shared conflict centred on the unconscious fear of catastrophe, what he called the dreaded state. People would avoid a state in the group, say one in which they talked about sad feelings, because of the unconscious fear that talking about sadness would lead to a dreaded state, in this case a depressive collapse. A group would be driven into unconscious defensive organization—the required state —to keep sadness at bay. For example, an extended period of manic humour (the required state) would help prevent the avoided state (sadness), which would in turn protect against the dreaded state. Interpretations would allow members to become increasingly aware of the underlying catastrophic fears and reduce their need for defensive organization. Horwitz(67) calls Ezriel's approach 'deductive' in that it relates individual's contributions only to the common group tension. He realized that this deductive approach was clinically unproductive and developed what he called an 'inductive' method which is group-centred. Interventions are first addressed to individual members in the group. Only after working with patients individually does the therapist introduce a common theme that binds them together. Thus the therapist, as in the group-analytic model, works on a figure-ground basis in which individual contributions are valued and explored in their own right before they are contextualized in the life of the group as a whole. Another approach, focal conflict theory, developed by Whitaker and Lieberman(6.8) is similar to that of Ezriel in providing the therapist with a conflict that becomes his point of emphasis, but it answers Horwitz's criticisms. In their account, underlying disturbing motives in group behaviour are acted against by unconscious restrictive solutions. The therapist, by focusing on such key conflicts, helps give members access to the unconscious anxieties and once these have been relieved they can construct more enabling solutions to the shared dilemmas of the group. The idea of focal conflicts, conceived of in these broader terms, has become an integral part of the group-analytic model. 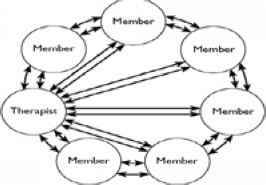 As Fig 5 indicates, the conductor is inside and a part of the group, the structural elements of which provide a way of understanding the crucial links between each member, the conductor, and the group as a whole. 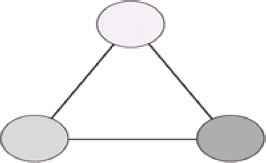 The triangle by which the group's psychological objects are linked to each other illustrates one of the six corresponding patterns of connection. 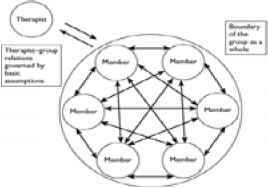 When replicated for each of the six members, the figure will produce a matrix of relational patterns, a complex relational field that will undergo change in terms of alliances, subgroups, and polarizations. This concept of the matrix is crucial in group-analytic theory and has been the subject of a large literature/7 71> It allows us to accept that all events in a group will become part of an unconscious network that is intrapsychic, interpersonal, and transpersonal. The developing matrix creates the capacity to receive, contain, and eventually transform individuals' contributions, fostering integration at the individual level as it does so in the group as a whole. Free-floating discussion is the group-analytic equivalent of free association. The term originates in Foulkes' own writing and describes a set of key clinical concepts in therapeutic practice that distinguish the group-analytic approach. (13> The language of the group is discussed later in this chapter. These processes, also mapped out originally by Foulkes, have been the subject of concentrated study by Pines (72) and by Agazarian and Peters. (73> The key concept of resonance describes the unconscious communication of emotion. The group provides its members with a wide field of meaning which is explored as they mirror one another's experience, find their emotions amplified by association with one another, and find condensed, sometimes highly aroused, cathartic experience, in moments charged with significance. Foulkes also went on to provide crucial ideas about the four levels at which the content of the group's discussion can be analysed in the search for meaning. (1 74) In the Tavistock model this is the therapist's exclusive task, whereas in the group-analytic approach the interpretative contribution is regarded as only one amongst a number of others. The therapist's overall stance is to foster communication and educate the group's members about the dynamic links between the group's structure, the content of the discussion, and the form in which it takes place. Figure,® illustrates the conductor's therapeutic role in relation to each of these dynamic elements. At times of coherent experience, when people are close in the shared experience of a moment, or when there is an issue charged with meaning, the group-analytic approach comes into its own. The symbolic content of the discourse might evolve in the language content, the flux of interactions, or the attention given to an individual's problems. The conductor needs to be able to model this use of imaginative play, with images, associations, or exchanges, and then stand back to allow members to take the enquiry forward. 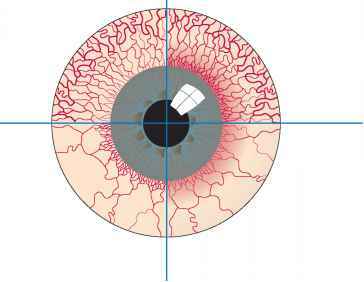 Cox and Theilgaard(75) have demonstrated how images can safely hold experience too painful or brittle to tolerate much analysis. At this level a group might work to unpack the meaning of one of its members' dreams or to understand the timing of someone's joke in relation to a shared anxiety. People come to discover that, through imaginative enquiry, images can touch the depths before they stir the surface, giving access to profoundly felt and deeply hidden concerns. When used and played with in this way, symbolic construction—the mutative use of metaphor—provides the whole group with a vehicle for change. The therapist's activity is summarized in Table, ...3..